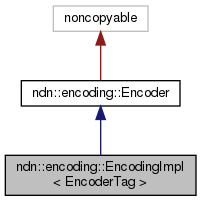 EncodingImpl specialization for actual TLV encoding. Definition at line 36 of file encoding-buffer.hpp. Definition at line 40 of file encoding-buffer.hpp. Definition at line 46 of file encoding-buffer.hpp.